There are several ways to earn passive income. In my opinion, out of all the methods that I have ventured into to earn passive income, dividend investing has by far been the easiest way. I just could not emphasize this enough. You own a bond for its coupons and a stock for its dividends. I am not talking about trading, I am talking about owning stocks. One owns stocks to collect dividends. Passive income dividend investing can be made as easy as possible or as difficult as possible. Everything depends on how you choose to go about it. Historically, my investments have fallen into three buckets. Retirement Stock / Bond Investments – I have been sharing on how my Rollover IRA has been performing. You can learn about my asset allocation and my 2016 retirement account performance. After tax Stock Investments – I used to own (long positions) and swing trade individual stocks. However, I moved into passively managed ETFs a few years back. More on this on a separate post. After tax Dividend stock investments – I will focus on earning passive income through dividend investing in this post. Several years back, I started investing in my own hand picked portfolio of high quality dividend stocks (~10 stocks in my portfolio). The goals for my dividend portfolio were, capital preservation, income, and growth – in that order. My expectation was that my portfolio would not lose value overall – capital preservation. Honestly, who invests to lose money? Capital preservation was my #1 priority followed by dividend income from the stock, and of course, stock appreciating in value would be a nice perk and added bonus. In addition, my goal was to receive dividend yields much higher than what a S&P 500 index ETF or a DJIA index ETF would offer. Otherwise, why am I building my own dividend portfolio? I set aside a big chunk of money and I started dollar cost averaging into each stock. I focused on stocks that had demonstrated solid dividend growth and lower beta (measure of volatility in comparison to the market). Typically, dividend portfolios are equal weighted – it means if you have $10K, and your dividend portfolio consists of 10 stocks, then you would invest $1000 on each stock. Thus stocks are equal weighted in your portfolio. Cap weighted means the stock with the highest market capitalization (number of outstanding shares * stock price) would be most presented in your portfolio and the stock with the lowest market capitalization would be the least represented in your portfolio. A dividend portfolio is typically not cap weighted. I just use the opportunity to explain the terms. I didn’t follow either approach. Stocks that had higher dividend yields and lower beta (lower volatility compared to the market) were more represented in my portfolio. If one of my dividend earning stocks went up by more than 10% within a year, then I would sell off a part of my holdings to take profits. This was working pretty well. I was earning a good chunk in dividends and I was also taking profits. I thought I was pretty well diversified across all the sectors. All was well, and then, suddenly, Oil Crashed! With the oil crash, my position in ConocoPhillips tanked. I expected that to happen. No surprise there. ConocoPhillips kept promising that they were not going to slash their dividends despite the fact that they were not earning money. Their EPS was in negative territory. They were selling assets and / or borrowing to pay the dividends. I should have seen the writing on the wall but I held on given that dividends kept coming. Finally, they reduced their dividend and the stock took another fall. At this point, I implemented my first sell low and buy low strategy – I exited ConocoPhillips with a significant loss, and bought into a Vanguard Total Market Index (VT) which had also fallen some due to the oil collapse. All of this would still have been fine – what really got me was Canadian banks were hit by the oil crash as well. I had large positions in Bank of Nova Scotia (BNS) and TD Bank (TD). I was down by ~20% on these positions. I thought I was diversified. I was wrong! I thought these banks were global and were part of the finance sector and thus would be insulated from other sectors, in this case, oil. I did not see this one coming – Canadian banks hit by oil. Overall, my dividend portfolio was net negative by ~25%. Basically, I had failed on my #1 priority – capital preservation. I had enough sense to hold on to my positions in the two Canadian banks. Dividends kept coming and they recovered as oil recovered. It was an eye sore to look at my dividend portfolio. It was deep in the red due to oil crash, however, S&P 500 and DOW had recovered quickly. This was a wake up call. I decided to be patient, do some learning, while I let my dividend portfolio to heal itself. It finally did and I have sold every single individual stock other than ConocoPhillips for a modest gain. What was meant to be a passive income stream didn’t turn out to be passive at all. I was constantly reading and keeping myself up to date on 10Q and 10K statements, annual reports, and anything Wall Street had to offer on each of the stock holdings in my dividend portfolio. What was meant to be a little to no effort turned into a full time fund manager position without the salary. Every time, I received dividends, I had to spend time and energy to figure out which company I should invest it into. I could always be blind sighted by something like an oil crash that would affect other sectors as well. What was meant to be a low maintenance easy passive income stream turned into a high maintenance job, anxiety, a punch in the gut, and tested my nerve every single day. Even the most solid companies may cut their dividends which would result in the stock tanking further. You may need to weed out the bad apples (stocks) from your dividend portfolio. It is called portfolio turnover. I had to hold myself back from selling and taking a loss every single day. It toughened me! I needed to rely on my logical analysis and hold my emotions at bay. There was nothing wrong with the banks. In the end, my capital was preserved. However, it is still a loss – I could have invested in something else that provided a better return. I am not going to say that creating your own dividend portfolio is a wrong approach. However, I will say that it did not work for me and it did not help me achieve the goals I had identified – capital preservation, income, and growth over a ~5-7 year period. The worst part – it was not passive at all, period! I am so glad that oil crashed and I learned my lesson. What’s the saying? You don’t need to explain success, but you have to explain your failure. I didn’t bother to evaluate what went well, however, when oil crashed, and my dividend portfolio crashed along with it, I stopped to pause and ponder. I wondered, is there a better way? How can I achieve my goals and truly achieve passive income through investing in dividend stocks without all the above pains? I will write about what I experimented with in my next post. Stay tuned! 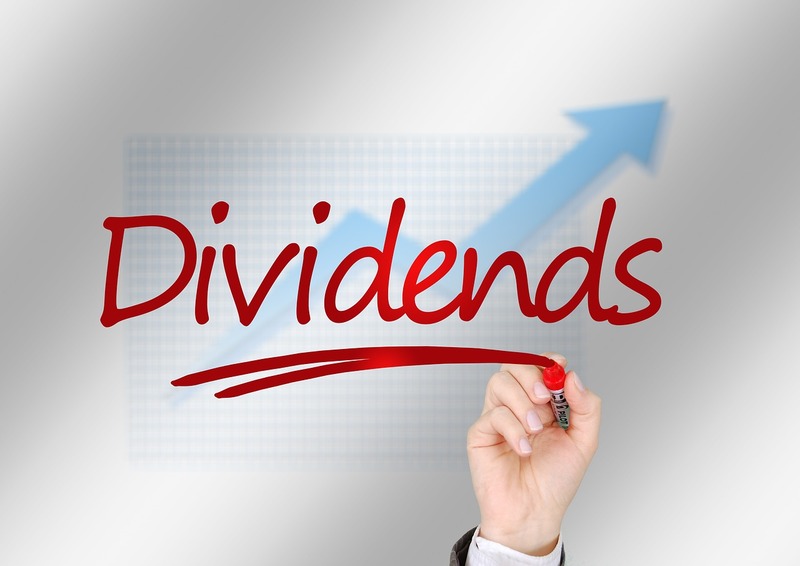 Do you earn passive dividend income from stocks? Is your dividend portfolio comprised of individual stocks?